Blenduk Church in Indonesian language can say “Gereja Blenduk”. One of the many of interest in Semarang is the Old Township which was built during the Dutch Colonial era. At that time, the area was the center of commerce aside from the city center it self. 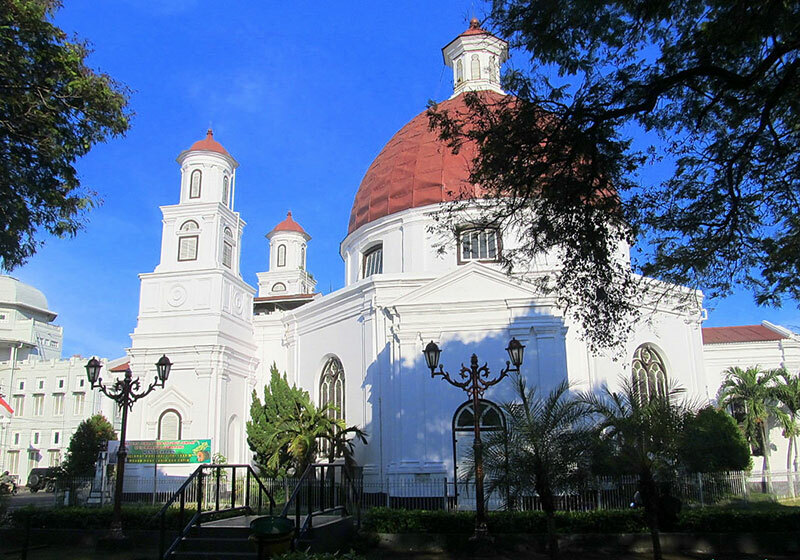 The church was built in 1752, is one of the oldest church in Java. This church has a the original name of “Nederlandsch Indische Kerk” or called “Koepelkerk”. It is topped by a large, copper-skinned dome, from which it gets its common name “Blenduk”, from Javanese word that means dome. Although it has been aged two and a half centuries, the church today is still actively used for regular Sunday services. Short Description: The Protestant Church in Western Indonesia Immanuel Semarang, better known as Blenduk Church is a Protestant church in Semarang, Central Java, Indonesia. Built in 1753, it is the oldest church in the province.